Plot Summary: A luxurious private plane the size of a 747 is hijacked by crooks who want the loot in the cargo hold. One of the crooks, flying the plane, accidentally hits an oil rig in poor visibility, sending the plane crashing into the ocean. Somehow the plane survives the crash intact and the passengers are left stranded beneath the surface of the ocean. Comments: This one is a must see for all disaster movie lovers. The story is original and the tension is well maintained from start to finish. My only criticism is that the navy scenes toward the end were a little lengthy and uninteresting. However, the dialogue, story and lovable, cliched seventies characters make 'Airport 77' by far the best of the 'Airport' series. Special Effects: 'Airport 77' contains some of the best aircraft crash special effects ever produced that are unparalleled by even todays modern films. 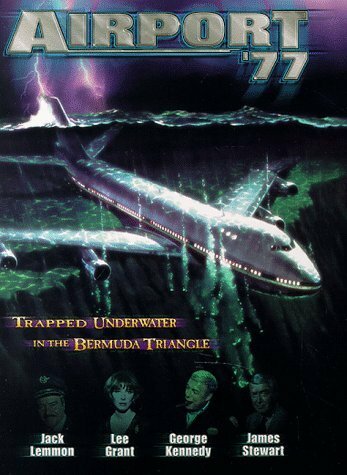 The plane crash sequence, in which the plane hits the ocean, looks fantastic and extremely believable making for a whole heartedly enjoyable two hours of disaster viewing.